Mobile app-driven new businesses are budding in the automotive after sales and service market, drawing the attention of investors focusing on start-ups, and the car wash business is no exception. The car wash sector in Korea, which is crowded with small players, has recently seen a resurgence as an online-to-offline business. “An O2O car wash mobile application, matching an offline service provider with a customer regardless of time and place, tremendously saves the customers’ time without any additional charges,’’ Lim Jun-kyu, CEO of Co-On, told The Korea Herald in a recent interview. 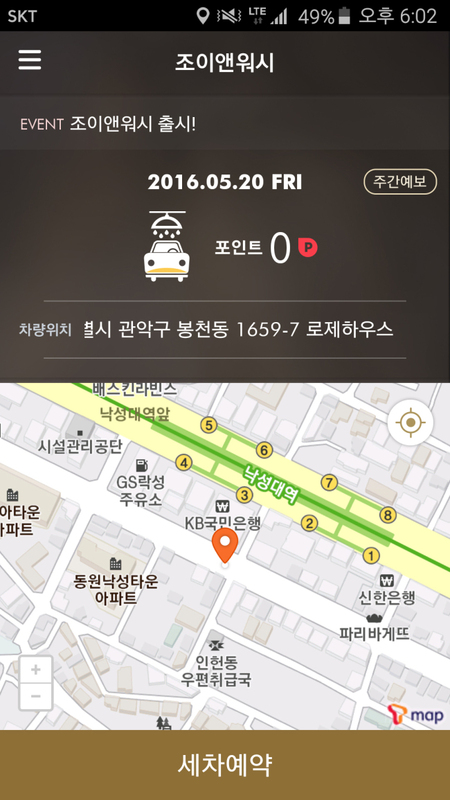 Lim founded the automotive aftermarket start-up in 2010 with the launch of JoynDrive, a ride-hailing driver app. The venture firm launched its second O2O app JoynWash targeting the car wash segment on May 9, betting on the growth potential of the market. According to data from Korean Statistical Information Service, the car wash and car maintenance market was worth 10.5 trillion won ($8.82 billion) market in 2014, which is now expected to grow larger with the help of mobile platforms. 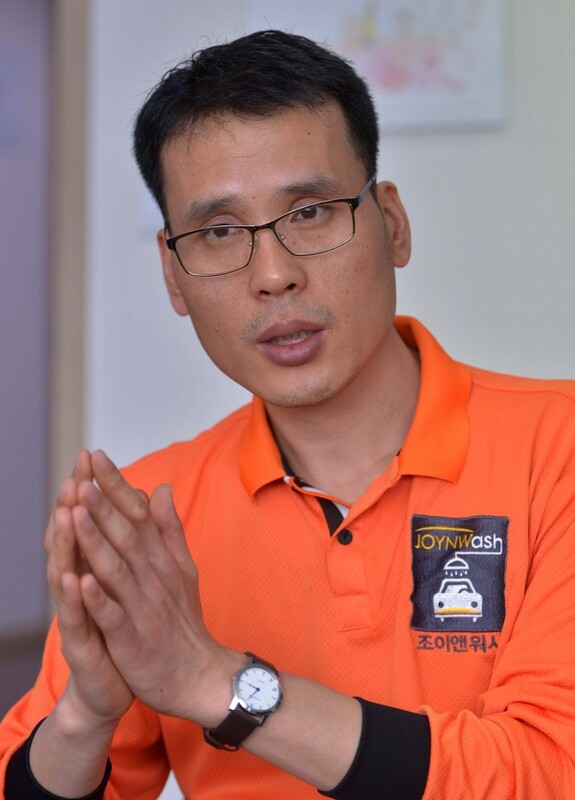 “Differentiated from other rivals, service providers of JoynWash offer users a more environment-friendly service by using innovative cleaning tools,” Lim said. Lim expects faster growth of his second mobile app as he has already secured a customer base from his first app JoynDrive. According to Lim, as of now, JoynDrive has about 100,000 active users and JoynWash has started marketing its services to its users. With the new app launch, the founder of Co-On hopes that sales will rise tenfold by 2017. The company’s revenue reached nearly 2.3 billion won last year. Asked about the challenges he faces, he noted the possible penetration of conglomerates in the growing automotive aftermarket. “In order to stay ahead, the service has to stand out. We need to keep developing new ideas to survive in the heated competition,” said Lim.